I’m thrilled to announce that this afternoon I became an official PR girl or Brand Ambassador for The Sassy Mal. The Sassy Mal is owned by Heather Renee and she chose ten PR girls for her adorable Etsy shop! Go show her some love! She makes and sells the most adorable Alaskan Malamute die cuts and stickers which she affectionately calls Sassy. Besides the Alaskan Malamute die cuts & stickers she also has some other fun, unique items in her shop. Make sure to check her out. In becoming a Brand Ambassador Heather allowed the ten of us to customize our own Sassy, meaning we were able to describe the type and style of Sassy we wanted to represent us. If any of you have been following me for any length of time, here on Canyon Heart, you are aware of how obsessed I am with leopard print ANYTHING! 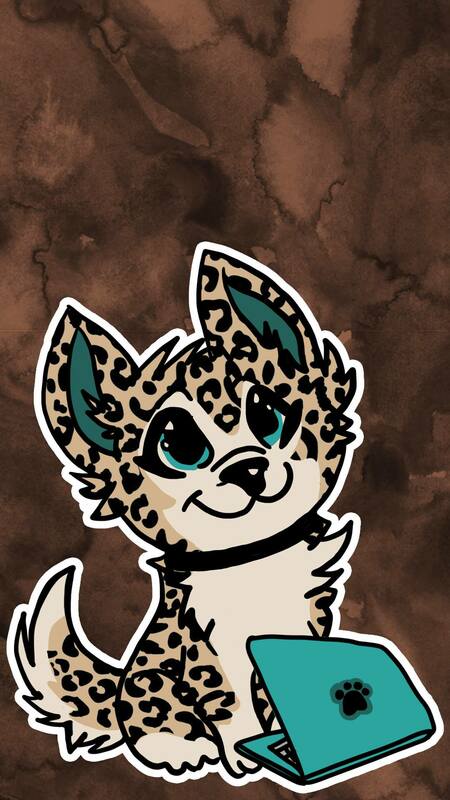 So when Heather let us pick our Sassy, I immediately chose to go with a leopard print Sassy with teal eyes. And how adorable is my custom Sassy! Then Heather had us list our hobbies and since I enjoy designing web sites she added a cute, coordinating teal computer with a paw print logo! Another perk of being a Sassy Brand Ambassador is we have our own custom PR code. If you purchase anything from The Sassy Mal enter my code SASSYPRIESTESS for 15% off and a free die cut of my custom Sassy! Also, go follow Heather’s Facebook group, TheSassyMal’s Sassy Pack, where you can also view nine other PR girls and their custom Sassy’s. This offer, with my code SASSYPRIESTESS and the die cut of my Sassy is good starting today, February 3, 2018 through June 30, 2018.